I'm not sure how to pronounce the word posset. Instead, I've been taking a shot in the dark saying it like this: paw-seht, as in, rhymes with faucet. This makes it seem less like something you'd eat and more like something you might lose track of, like a pair of keys. "Has anyone seen my posset? I swear I left it right there." I suppose I could look it up, but I've taken it this far already. Here's what I can do on the posset front. I can explain how to make it. It's one of the simplest desserts I've ever made. Are you ready for this? You bring heavy cream and sugar to a boil. You let it simmer for three minutes. 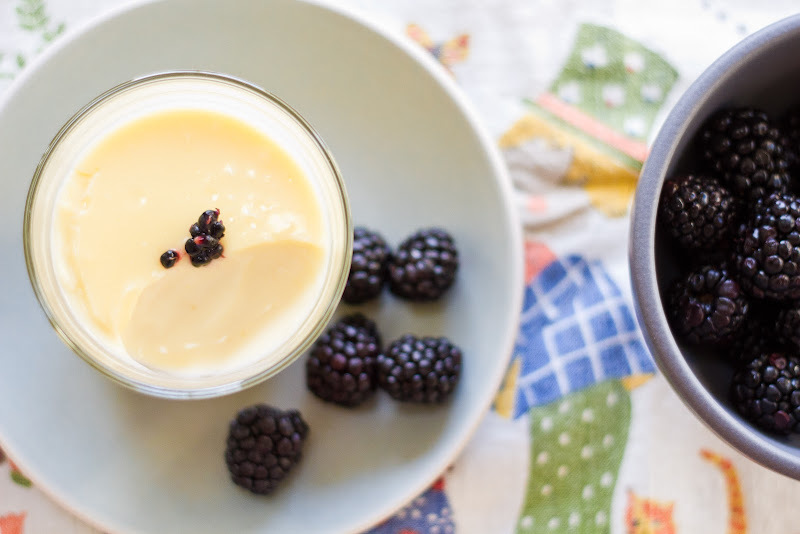 You take it off the heat, add the lemon juice, stir, let it cool for a bit, put it in the refrigerator for a few hours, and voilà: lemon posset! Is it as good as the orange-cardamom ice cream sundae? Absolutely not. This is posset. It's humble. But is it "the perfect accompaniment for raspberries, mulberries, or loganberries" like Nigel Slater claims? Definitely. In other news, thank you all so much for all of your sweet, encouraging comments from last week's news. I'm hard at work writing already and will definitely be keeping you updated! Put the cream and sugar in a saucepan and bring to a boil, stirring occasionally to dissolve the sugar. 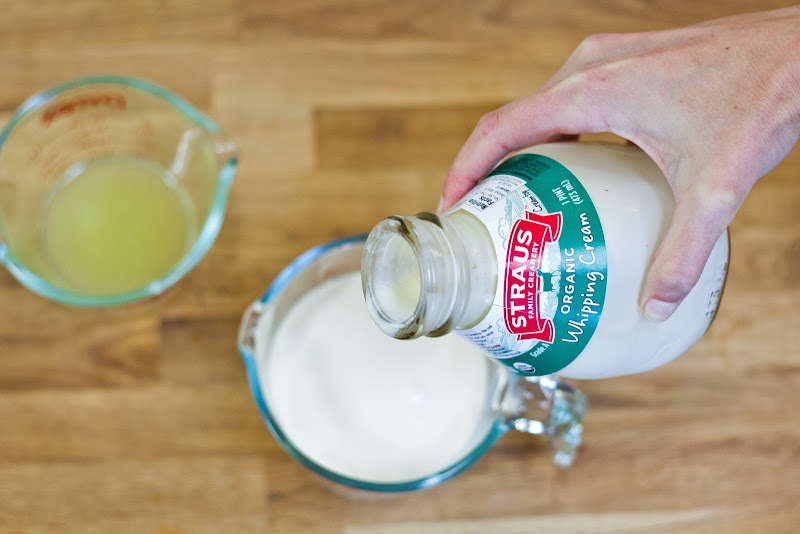 Reduce the heat so that the mixture doesn't boil over and let it bubble enthusiastically for about three minutes, stirring regularly. Remove from the heat, stir in the lemon juice, and leave to settle. 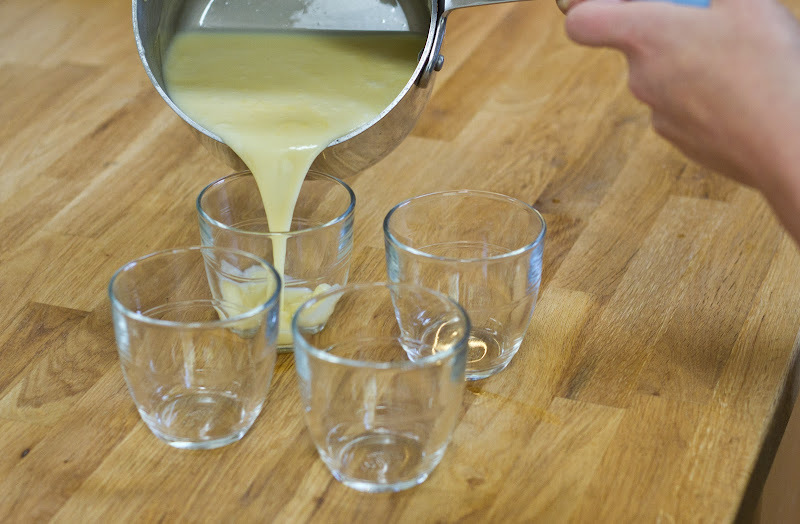 Pour into four small wineglasses or cups and leave to cool. Refrigerate for a couple of hours before serving. yes, the posset was good but not amazing... I was expecting more of a budino, or if not that, a lemon pudding... but it was more subtle. AH, POSSET! So subtle and humble. this looks delicious and so simple. i will have to make some with the berries in the fridge. Stop dissing the posset! I think it looks like the perfect fruit vehicle! 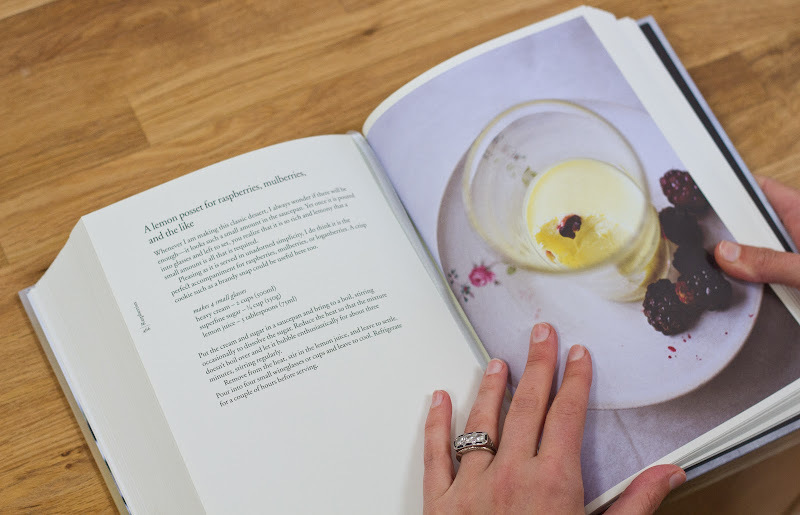 The posset looks lovely. The word makes me think of possum--which some people say is ALSO culinary experience not as good as a budino. I've never had possum but I went to elementary school with a girl who brought dried squirrel in her lunch box every day--squirrel jerky, I guess. I should probably wrap this comment up before it gets any worse. 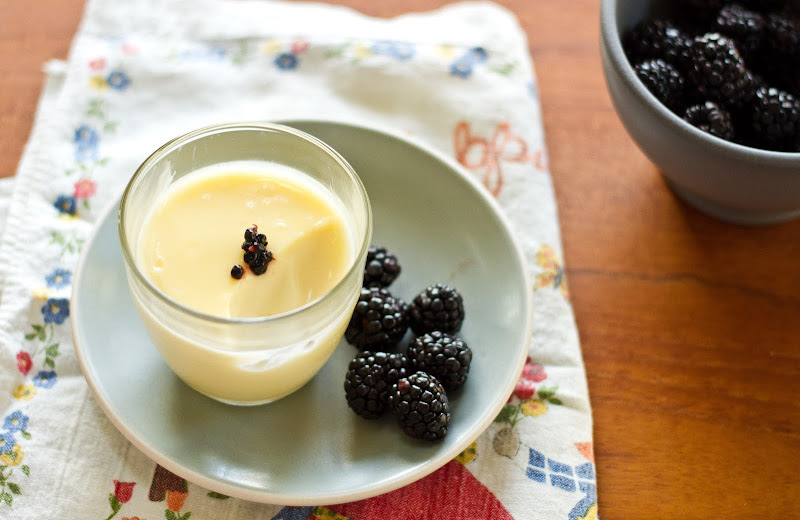 posset, classical british blast from the past and medieval times most acommonly made with lemon back then. I was looking for a dessert for tomorrow night and I'm thinking this may do the trick! Looks like it might be light and refreshing after a seafood stew? Plus, I heart lemons. And your lemon tree! Hi Colleen: yes! it is surprisingly light even though it's essentially heavy cream. ha! Something new I'd love to try! Thanks for the inspiration from a fellow blogger! That looks divine! And I don't think I've ever met a pudding I didn't like! These pictures are so pretty. The posset looks great! Though the word posset reminds me of possum. Hm. Not so pretty. Amelia, we had this last night and it was amazing and so very easy! Thanks for the great recipe! Thanks as always Amelia and Matt! 2. Lunchtime squirrel jerky?! Where did you grow up? And now I know what dessert to serve for my dinner party this weekend, yay! Hi guys,the dish in the blog looks good.Keep update more dishes in the blog.I will bookmark your blog for regular visit. This looks so simple and lovely! 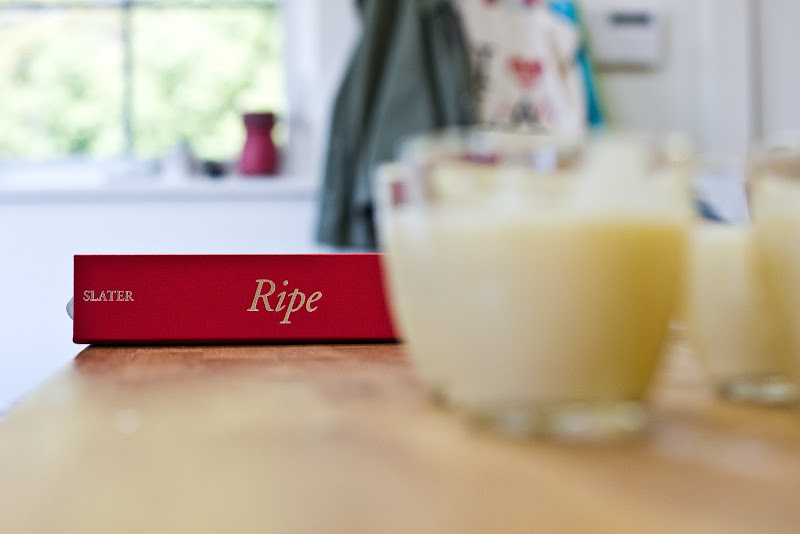 Also, it makes me sad because it reminds me that I've owned "Ripe" since it was released in the US and I still haven't read through it. I need to get on that. This looks amazing! I am having a dinner party next week and this may be a perfect dessert to serve. Looks so easy to make and simply amazing! Looking forward to trying this simple but delicious dessert. It strikes me from the ingredients that it is rather like lemon yogurt. Which I love. By the way, I found you through Katherine at Eggton, by way of your Grizzly and Golden blog. Hi, It looks yummy. Very easy preparation yet like to try it. This lemon yogurt is really gives pleasant look along with those blueberries.